Gentle readers, you will have to forgive my tardiness in posting this. 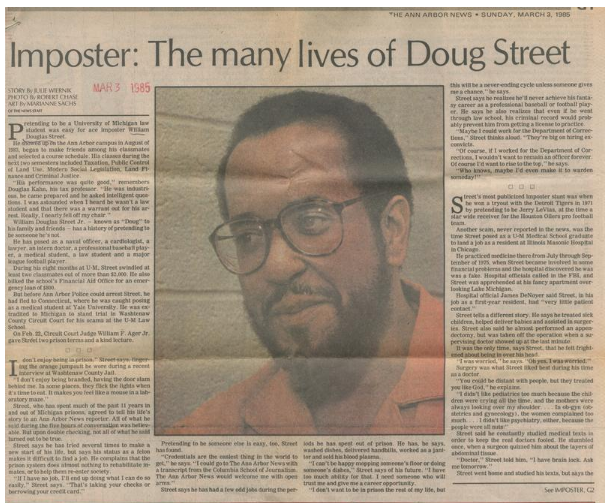 This week's Ann Arbor Stories tells the tale of William Douglas Street. 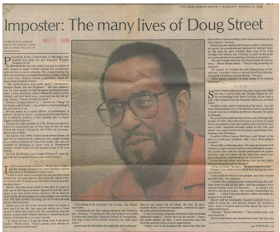 In his day, Street was a scholar, baseball player, football player, TIME writer, doctor, lawyer, doctor again, marathon runner, and part-time defense contractor. He was also a conman who specialized in adopting new personas. Street's shenanigans earned him the nickname "The Chameleon" and a federal prison sentence.